Yes, you read it right. Bee venom has medicinal properties, and hence is used as medicine to treat arthritis of different forms. Research has identified a substance called ‘Mellitin', an anti-inflammatory agent to be present in the venom. It is known to be one hundred times stronger than cortisone (a hormone released by the body as a reaction to stress and prepares the body for a fight or flight response). It also contains a substance known as adolapin which is both anti-inflammatory and pain-blocking. Bee venom increases blood circulation and causes the body to release more natural healing compounds in its own defense. Studies show that most patients suffering from rheumatoid arthritis or osteoarthritis had not responded to convention treatments but responded well to bee venom or bee sting shorts. Some people might be highly sensitive to bee venom and break out in hives; others may have an opposite reaction. Bee venom may reduce swelling, decrease pain and also prevent the deterioration of cartilage in joints. Bee venom has been known to cause swelling and redness around the injection site, just like when you have an injection at the doctor's clinic. Some people react strongly to the pain while others do not. High doses of bee venom are unsafe during pregnancy because they can increase the release of chemicals called histamine, which can cause the uterus to contract. 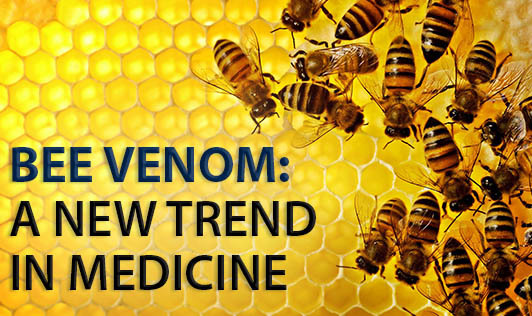 To conclude, bee venom is being used in alternative medicine and a lot of research is going on in this area. It could be a good choice for people who have not responded well to other routes of medicine.